Can you make yourself up in five minutes flat? Make the first move without breaking a sweat Hang a picture without becoming unhinged Get out of a car -- or an unpleasant situation -- gracefully in a short skirt Load an iPod as effortlessly as a dishwasher If not, international style and fashion journalist Camilla Morton can help you navigate these and more than two hundred other hazards of modern living with grace and aplomb. 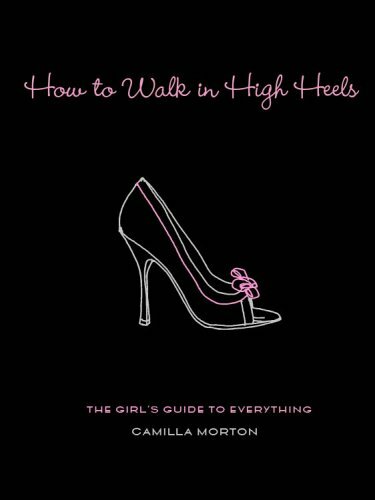 Much more than just a style manual or crash course in social skills, How to Walk in High Heels also illuminates the finer points of achieving better homes and gardens, tackling technophobia, climbing the career ladder, and joining the jet set. So I normally won't pull out of my genre of Romance, but given this is also a beauty blog, I feel the need to introduce a book to you if you haven't already read it. 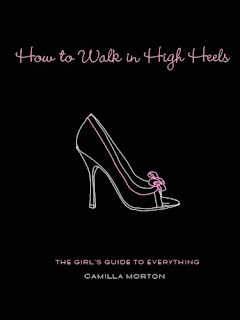 How to Walk in High Heels is a great how to book about fashion, beauty and just generally being a fantastic girl! Great for all ages, although some suggestions might be a bit risque for young teens, it is a fantastic addition to your collection. Little things like how to be more tech savvy are covered. Trust me when I tell you, I spent a LOT of time in that section of the book! It also has contributing authors like Heidi Klum on how to dress and build a wardrobe. Just all around fun stuff! So if you are feeling a little girly and you want to dive into the fashion & beauty world, here is your chance!